Altec Lansing is a force to be reckoned with when talking about sound production. The Altec Lansing name was formed when the All Technical Products Company decided to solidify its business and extend its manufacturing capabilities. The company bought Lansing Manufacturing Company headed by James B. Lansing and formed Altec Lansing Corporation on May 1, 1941. Since then, they have become a major contender in the audio system industry. 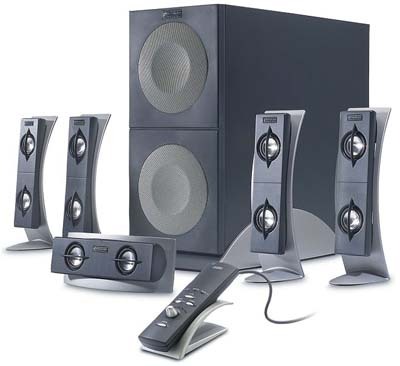 Altec has given us at SLCentral a wonderful opportunity to review their 5100 speaker system. The 5100's are Altec's top of the line gaming speakers. Equipped with five satellites (four surrounding and one center) and 1 subwoofer, the 5100's look quite promising.